The presidency of Muhammadu Buhari continues to lay claim to achievements in the fight against corruption in Nigeria as well as the war against Boko Haram. But its record leaves a lot to be desired. The state has been unable to tackle the problem of poverty. The US-based research house, the Brookings Institution, recently reported that Nigeria has overtaken India as the country with the largest number of extreme poor in early 2018. For its part, Transparency International has reported that Nigeria is sliding backwards when it comes to corruption. Added to this is the fact that nearly 7.5 million people have lost jobs and the unemployment rate is increasing. Young people are alienated while kidnapping-for-ransom is on the rise. It’s against this background that Buhari announced that he will be contesting next year’s elections. There were mixed reactions to the news. Some hold the view he is too old to grasp how to deal decisively with the challenges of a modern state. His supporters believe there is no better alternative to Buhari, who will be 76 years by the time he contests a second term in office in 2019. Nigeria has a population of 180 million, 60% of whom are between the age of 18 and 35. Yet the state has been unable to translate the energy of its young population into development. Young Nigerians don’t only suffer marginalization from a government that is run by a gerontocracy. They are also the victims of bad governance. This is what lies behind the recent call for younger people to be able to run for office. Yet, despite a new law being promulgated, it’s obvious that the gerontocracy in power isn’t ready for a transition. Buhari is playing political games – and for time. In most Nigerian cultures, starting in the family, roles are assigned based on age. In the political arena, the country has been through periods of being run by young men. In pre-colonial Nigeria, young people acted as the vanguard by providing security of their societies and serving to check or remove tyrannical rulers. The post-colonial environment gave rise to young people in military uniform taking over government through a series of coup. These post-colonial coup beneficiaries were mostly under 40. They included Aguiyi Ironsi (42), Yakubu Gowon (31), Murtala Muhammed (37) and Olusegun Obasanjo (38). Student activists such as the late Segun Okeowo led the National Union of Nigerian Students to fight for welfare of students and protest against draconian policies during the famous “Ali must go protest” staged nationwide against “bad” education policy. This was the peak of active youth involvement in ensuring good governance. The current leadership of the students’ movement has lost the ideology of the early years and has been co-opted by the ruling class in Nigeria. The signing into law of the not-too-young to run bill has been widely applauded as a step aimed at democratizing the political space. But the facts contradict this. 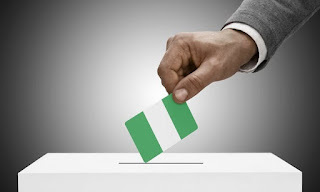 The law reduces the age for contesting for president from 40 to 35; governor from 35 to 30; senator from 35 to 30; House of Representatives membership from 30 to 25 and State House of Assembly membership from 30 to 25. But Buhari has asked Nigeria’s young people to wait until 2023 before contesting any elections. This is clearly a cynical political strategy designed to capture the vote of young people but leaving the status quo intact. The National Youth Policy of Nigeria and the African Youth Charter pegs the age of youth between 18-35 years of age. But there’s no consensus on this in practice. Most political parties are much more interested in experienced, versatile and loyal mobilizes. They are less interested in age than they are in candidates who have passion, energy and show enough enthusiasm and have political capital. In pre-2015 presidential campaign, Nigerians were asked to choose between Goodluck Jonathan, who was 58 at the time, and Buhari, who was 73. Adverts were placed in newspapers warning against voting for an older person, pointing to the challenges of ill-health and inability to understand and cope with demands of modern governance. As 2019 elections draw near, about 18 young people have indicated interest in the presidency. Ranging between the ages of 33 and 46, they come both from the Diaspora as well as from within the country. Two of them, Fela Durotoye and Omoyele Sowore, have moved around the country to test the ground. They have expressed distrust in the Buhari leadership and promised to edge him out of power in 2019. Buhari’s Minister of Communication, Adebayo Shittu, has described them as inconsequential. That may be true given that the candidates have yet to connect with the real voters. And being young may not be an asset to leadership unless aspiring young leaders have the capacity and capability to govern. The young aspirant politicians lack structures and the money, both of which remain strong factors in deciding politics in Nigeria. For example, the Young Democratic Party lacks the structure to change the political equation. On top of this, those contesting positions in popular parties are former governors, former vice president, who are billionaires and have the structures to back them up. A new paradigm is being championed by former President Olusegun Obasanjo, now 81 years old, who ran the country between 1999 and 2007. He supported Buhari in 2015 but is spearheading a movement that hopes to support a qualified younger presidential aspirant to unseat Buhari. This coalition of 38 political parties including Peoples Democratic Party (PDP) and marginalized members of the ruling All Progressive Congress (APC) have signed Memorandum of Understanding. But even if this works, gerontocrats would still be playing backroom politics and assuming the role of godfathers to the ‘young’ leaders. The implication of is that the odds favour the old in 2019 elections.